We believe that regular checkups and wellness exams are critical to your pet's well-being. These wellness exams give us a chance to evaluate the overall health of your pet while also giving us a baseline for their own unique bodies and tendencies. At Associated Veterinary you can be assured that your pet will receive excellent surgical care based on the most current veterinary guidelines. As an AAHA accredited hospital, we adhere to the most stringent requirements regarding sterility, safety, and pain management. When your pet is scheduled for a surgical procedure they are admitted to the Medical Center first thing in the morning. 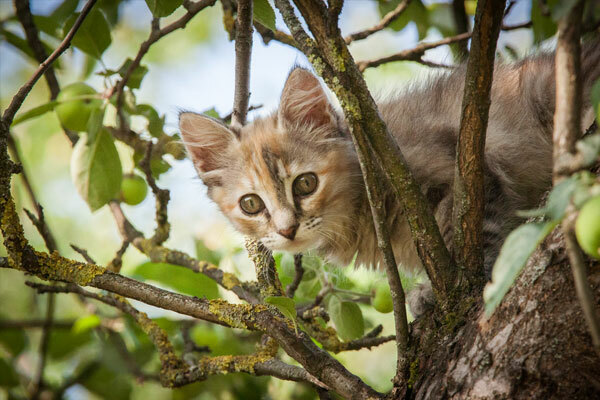 After admission to the hospital, an examination will be performed by the veterinarian to identify any physical problems your pet may have and assure no outward conditions exist which would cause concern for anesthesia. Pre-operative bloodwork is strongly recommended to identify any metabolic concerns. If it has not been drawn prior to the day of surgery, it will be drawn just after the physical exam. Next, we will administer pre-anesthetic medications, which will make your pet drowsy and help to prevent pain. Then, the veterinary technician will shave and clean a small area on the patient's front leg, and an intravenous catheter will be placed into a vein. Since blood pressure drops under anesthesia, we can support blood pressure and maintain hydration by giving intravenous fluids through this catheter. The IV catheter also allows for quick delivery of emergency drugs if needed. 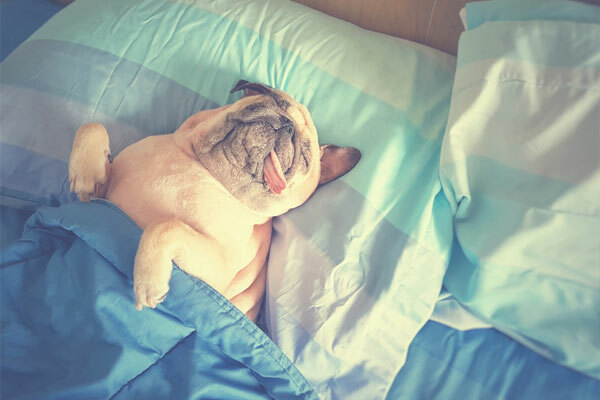 Every pet is placed on a heating pad to help maintain core body temperature. State of the art surgical anesthesia monitors, which allow us to monitor heart rate, blood pressure, oxygen saturation, and core body temperature, are connected to the patient and allow for optimized safety during anesthesia. One of our licensed technicians will supervise your pet during the entire time anesthesia is being administered and will be responsible for continuous monitoring of vital signs. These monitoring parameters help us to adjust anesthesia as needed and detect any physiological changes before serious problems occur. Once your pet is safely under anesthesia, we will begin surgical preparation. The hair will be shaved around the surgical area. This area will be gently scrubbed and washed to remove as much bacteria as possible and surgical prep applied. While the technician prepares your pet for surgery, the veterinarian also prepares for the surgical procedure. The doctor scrubs the arms, from fingernails to elbows, before surgery. As in human medicine, the veterinarian prepares by dressing in a sterile gown, facemask, and surgical cap. After dressing and washing, the veterinarian will put on sterile gloves and proceed to the surgical suite. While some hospitals use surgical rooms as multi-purpose treatment areas, our surgical suite is a single purpose area of the hospital. This area is used only for surgical procedures, allowing us to minimize any contamination and maximize your pet's safety. Once your pet is fully prepared and sterilely draped for surgery, the veterinarian will perform the surgical procedure. During this time a dedicated technician monitors your pet's vital signs closely. Once the veterinarian has completed the procedure, the anesthesia is turned off and your pet is given oxygen gas to aid in recovery. One of our licensed technicians will monitor your pet closely during recovery. Once the patient is able to swallow, the endotracheal tube is removed and the patient is moved to their recovery suite. We have designed our treatment and recovery area in such a way that allows for continuous visualization of hospitalized patients. This allows for the best continual patient monitoring and safety. Once the surgery is complete, the veterinary technician or doctor will call you with an update and discuss the discharge plan. At the time of discharge, the veterinary assistant will discuss discharge instructions, review medications, coordinate follow-up appointments, and answer any questions you may have. Access to modern diagnostics is critical for every pet. Our digital x-ray, ultrasound, and in clinic laboratory allow our team to quickly and effectively diagnose and treat each patient. Our hospital maintains a full in-clinic laboratory, which helps us diagnose and treat many medical conditions. We have the ability to perform blood chemistry analysis and urinalysis to help diagnose problems in sick patients, for pre-surgical procedures, and for routine wellness testing. This state-of-the-art equipment allows us to get results quickly. We also offer full in-house digital radiology as well as ultrasound sonography. 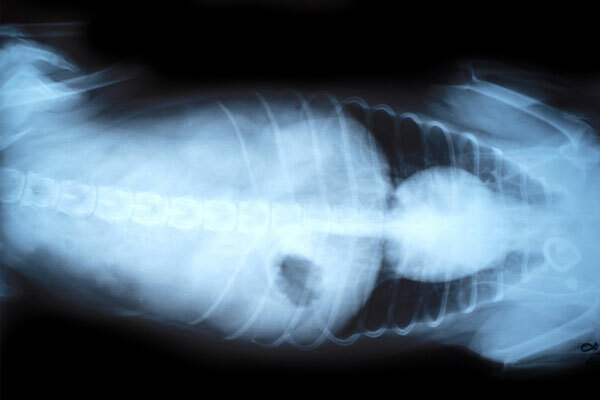 Our technical expertise enables us to take and interpret radiographs. Using these digital devices not only allows us to see images with far greater clarity than ever before, but also gives us the ability to email them. We can send the images within moments to another clinic or to a specialist for consultation, and communicate information on behalf of our patients. 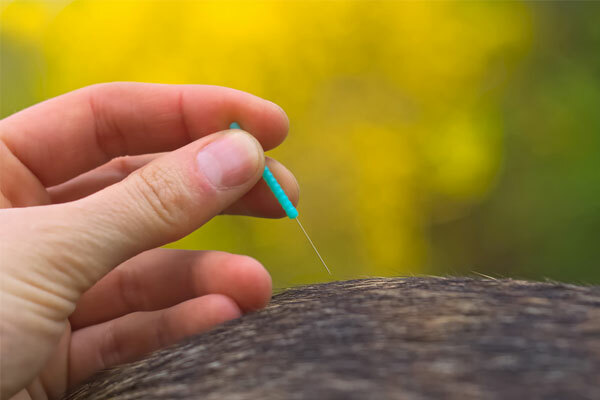 We are pleased to offer veterinary acupuncture for both small animals and equines. Acupuncture increases circulation, relieves muscle spasms, stimulates nerves, and stimulates the body’s defense system, among many other beneficial effects. Acupuncture is most commonly used for musculoskeletal problems like arthritis, skin problems, nervous disorders, reproductive disorders, respiratory problems, poor immunity and internal medicine problems such as heart and kidney disease. Acupuncture is now known to affect all major physiologic systems including the musculoskeletal, hormonal, and cardiovascular systems. cluding home brushing, dental chews, and regular inspection. If your pet has brown/yellow teeth, bad breath, or is having difficulty eating, these could all be signs of dental disease. Please call us at (509) 525-2502 today to learn more and schedule your pet's dental cleaning. 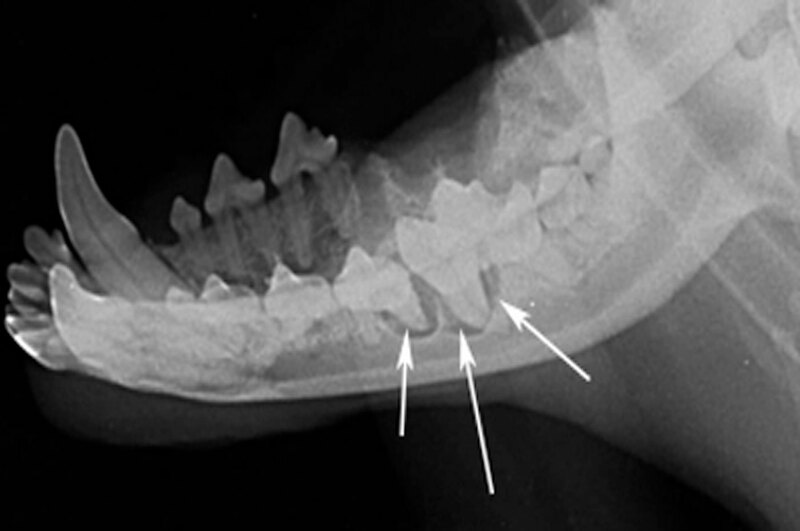 Dental radiographs are one of the most important diagnostic tools available to a veterinarian and veterinary dentist. They allow the internal anatomy of the teeth, the roots and the bone that surrounds the roots to be examined. When performing dental procedures, it is standard of care for our Team to perform full mouth radiographs to allow for complete visualization of disease below the gum line. Intra-oral radiographs are obtained using a digital sensor - placed inside the patient’s mouth - and provide superior quality for examination of individual teeth or sections of the jaws. 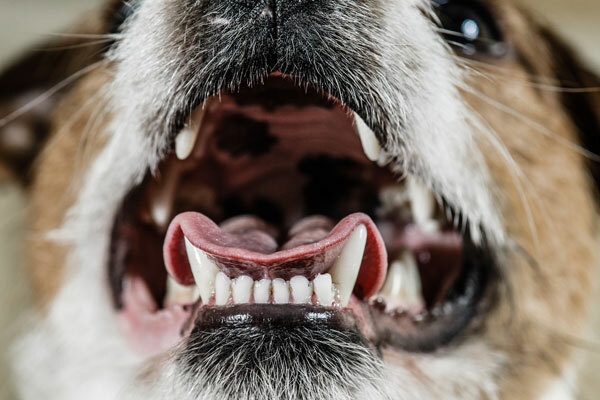 Because veterinary patients will not be still when a sensor is placed in the mouth, taking dental radiographs requires the patient is anesthetized or sedated. The radiation risk to the patient from taking dental radiographs is minimal. Because we use the latest, state of the art, technology, we significantly decrease the radiation exposure to both the patient as well as our Team. We are proud to follow the recommendation of the American Animal Hospital Association and the American Veterinary Dental Society by obtaining digital dental radiographs on all of our dental care patients. We are proud to offer laser therapy for our patients. Our Class IV Laser has been proven to help with a number of conditions including: joint pain, wounds, post orthopedic recovery, edema, and congestion. 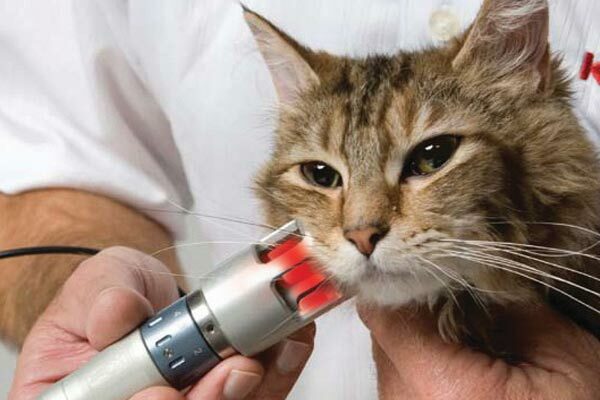 We are dedicated to utilizing the highest standard of veterinary technology, and laser therapy is one of the ways in which we stay on the cutting edge of our field. We have seen tremendous benefits in a significant number of cases! One in three pets goes missing. 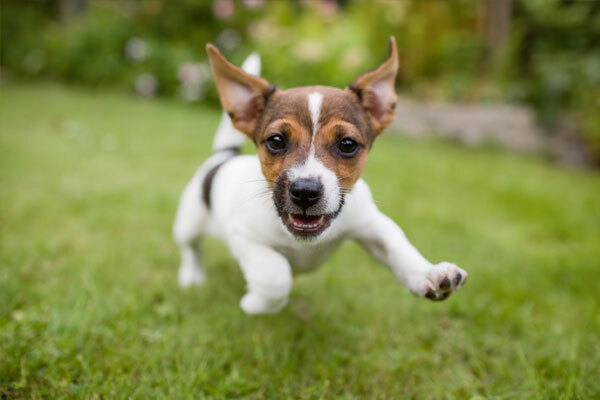 A microchip is your pet's permanent ID and can help your lost pet return home safely and quickly. The microchip—the size of a grain of rice—is placed beneath your pet's skin. This permanent ID can never be removed or become impossible to read. 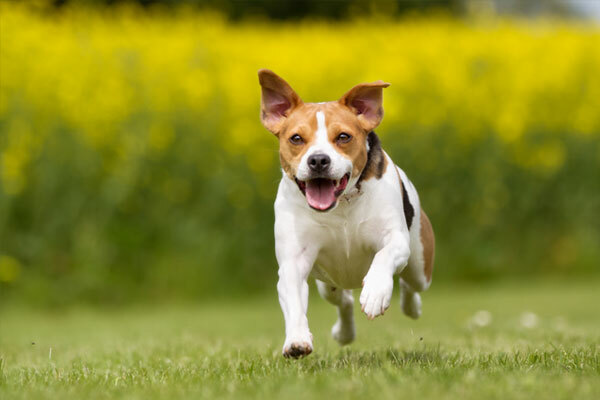 Should your microchipped pet get lost, nearly all veterinary clinics and animal shelters have a microchip scanner that essentially provides your contact information. For many of our patients, we are their “home away from home.” When your special friend cannot accompany you on a vacation, business trip or family outing we are happy to provide a safe place for them to stay while you are away. For their safety, every animal must be current with their wellness exams and core vaccines. Ideally, each will have received the appropriate vaccinations 10-14 days prior to boarding. Additionally, if your animal is on medications, please bring all medication(s) in their original container to ensure medication(s) are administered properly.